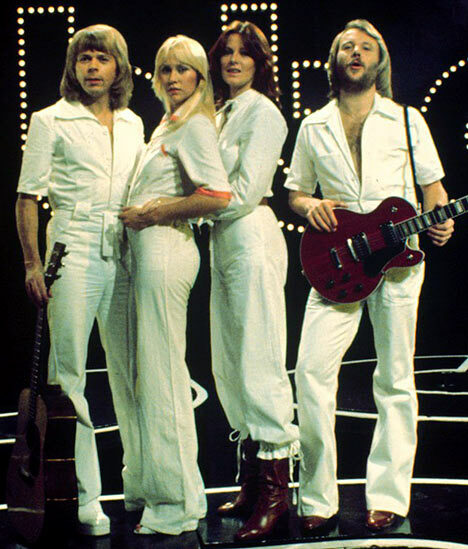 ABBA was a Swedish pop group formed in Stockholm in 1972, comprising Agnetha Fältskog, Björn Ulvaeus, Benny Andersson and Anni-Frid Lyngstad. ABBA is an acronym of the first letters of the band members' first names and is sometimes stylized as the registered trademark ᗅᗺᗷᗅ. They became one of the most commercially successful acts in the history of pop music, topping the charts worldwide from 1972 to 1982. They are also known for winning the 1974 Eurovision Song Contest, giving Sweden its first victory in the history of the contest and being the most successful group ever to take part in the contest.